No Printing, No Coating, Just Expressly Beautiful ! BenQ VW2235H embodies simple living with eco-friendly sophistication while keeping things interesting with its clean, curvy lines, unconventional asymmetric form and a uniquely designed docking accessory that serves as a holder for your mobile phone and cards. The BenQ VW2235H VA LED monitor is a new addition to the BenQ stylishly innovative VW Series lineup. Featuring VA panel technology, LED backlighting, Macbook compatibility and multiple input options, this high-tech work of art is designed to make the perfect style statement for users seeking premium visual enjoyment, outstanding multimedia performance and versatility in an exquisite, eco-friendly package. Enjoy the flawless layering and precisely contrasted details in even the darkest images! Free of bright spots with low light leakage, VA panels are designed to deliver naturally deeper blacks with optimum contrast performance. An ultra-high native contrast of 3000:1 - three times of that of general panels - adds astonishing color depth and definition to darkened, complex images with the greatest subtlety and clarity. With a native contrast ratio this high, you can expect an infinite dynamic contrast ratio that far exceeds your expectations. An 8-bit VA panel delivers smoother and more stable color transitions by rendering a total of 16.7 million color shades simultaneously. A 6-bit panel with Advanced Frame Rate Control (ARFC) requires interpolation to display the same number of colors as a true 8-bit panel does. No printing. No coating. Free from harmful chemicals, the VW2235H is pure in design and refreshing for the modern minds. An extra accessory inspired from mountains adds a piece of scenery to your desk and serves as a business card or mobile phone holder. Store thumbtacks and paperclips using the small tray on the base stand to keep your desk nice and organized. M-book mode built via BenQ's exclusive Senseye® Human Vision technology incorporates six proprietary calibration techniques to achieve the best viewing quality in each of its pre-set viewing modes. This special mode enables the VW2235H to faithfully preserve the color quality of a MacBook display so that users can enjoy the view of their MacBook on a bigger screen. 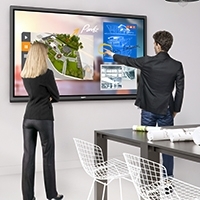 VA panels display truly authentic colors and ultra sharp details. Viewing documents on the VW2235H will appear just as sharp and bright as printed pieces. The ZeroFlicker technology eliminates flickering at all brightness levels and dramatically improves eye comfort during long viewing sessions. 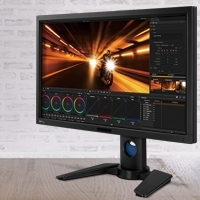 Experience the truest colors of the world with the BenQ Senseye® Human Vision Technology. 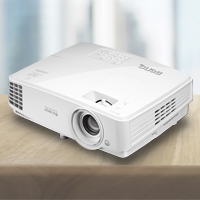 With the help of its six proprietary calibration techniques, Senseye® 3 delivers the best viewing quality in each of its pre-set viewing modes –Standard, Movie, Game, Photo, sRGB, Reading, M-book and Eco – with the Eco Mode especially designed to save power and money. The latest HDMI high-speed multimedia interface makes VW2235H incredibly convenient to use – now you can enjoy digital entertainment effortlessly even with additional multimedia equipment in the future. The VW2235H has passed Windows® 8 certification and is fully compatible with Mac OS version. Plug in the VW2235H to your computer and your computer will recognize it instantly, making setup and connection effortless. *All images are simulated and for demonstrative only. parts and labor only (No advance replacement). continental United States, Hawaii, and Alaska.2. 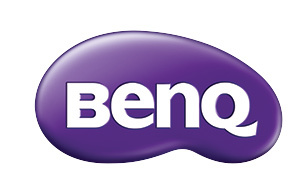 You must contact BenQ Technical Support Center at 1-866-600-2367.